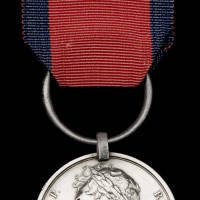 Awarded for service during the Campaign in Gwalior in 1843. In particular, the 9L fought at Punniar. The medals were manufactured from the bronze from the guns captured at Maharajpoor and Punniar.